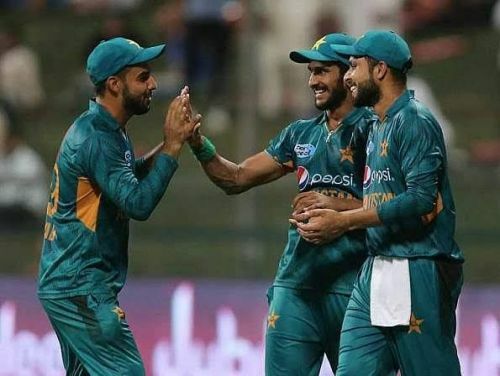 The Pakistani juggernaut continued as they clinched their tenth consecutive T20I series by defeating Australia in the second T20I at Dubai. They have been in supreme form in the shortest format and now aim to sweep the series, when they take on the Aussies in the Dubai International Cricket Stadium for the final T20I of the three-match series on Sunday, October 28. Both teams have now played 19 T20 internationals against each other, with the Asians leading 11-7. In Dubai, the head-to-head favours the hosts 3-2. In their previous meeting at this venue on October 26, the hosts put up a total of 147/6 in their quota of 20 overs, and then restricted the Aussies to 136/8 to win by 11 runs. The consistency that Pakistan have showed in this format has been incredible. The fact that they have lost just four out of 29 T20I matches that they have played since the WT20 2016 simply tells their story. The opening pair of Babar Azam and Fakhar Zaman will once again bear responsibility to take their team off to a flier. Babar has has been leading the run-chart with knocks of 68 and 45 in the two games, while Fakhar failed to convert his start in the previous innings and will be eager to make up for it. Apart from these two, Mohammad Hafeez also proved his worth with scores of 39 and 40, respectively. Despite impressive wins in both games, the team's lower middle order performance is an area which needs to be addressed as it failed in both games. Pakistan are having a dream run in this department. With all of their bowlers performing well, it's hard to imagine them on the losing side. Imad Wasim took four wickets in two games and the left-arm spinner is likely to give the Aussie batsmen a hard time again. In the second T20I, Shadab Khan and Shaheen Afridi shared four scalps between them to cripple the Australian middle order. Sarfraz Ahmed (C), Shadab Khan, Imad Wasim, Hasan Ali, Shaheen Afridi, Fakhar Zaman, Babar Azam, Mohammad Hafeez, Asif Ali, Hussain Talat and Faheem Ashraf. Australia have not been able to put up a fight against Pakistan in the shortest format in recent times and the 11-run loss in the last game was their fourth consecutive defeat against them. The Aussies have already lost the ongoing series and they will be eager to prevent a series whitewash. The Australians failed to show any improvement in the second game. They will have to come up with a much better batting display in the final T20I to avoid embarrassment. 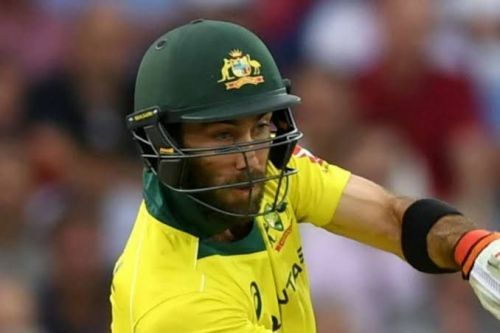 The only positive for the visitors in the previous clash was Glenn Maxwell, who scored a brilliant fifty to support his side, but completely lacked any support from the other end. Aussies will need sizable contributions from their top order, which comprises of Aaron Finch, D'Arcy Short and Chris Lynn, who failed in both games. All three batsman failed to reach the double figure mark last time and the Aussies will be hoping for them to fire on all cylinders in the final outing. Counter-Nile and Stanlake snared three and two wickets, respectively in the last game while being economical, and the duo will be backed by their team to replicate that performance on Sunday. Andrew Tye was the standout performer in the first game with 3/24. They will also bank on the likes of Adam Zampa, who is their best choice from the spin department, and it will be up to him to apply pressure on Pakistan in the middle overs. Aaron Finch (C), D'Arcy Short, Chris Lynn, Glenn Maxwell, Mitchell Marsh, Alex Carey, Nathan Lyon, Nathan Coulter-Nile, Andrew Tye, Adam Zampa and Billy Stanlake.